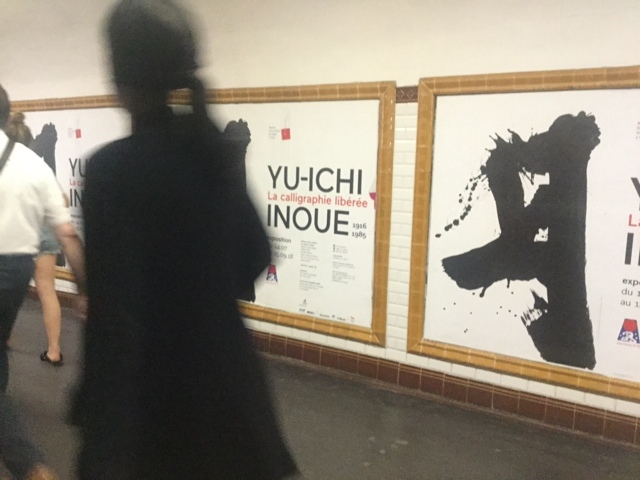 Last week in the metro I saw this poster for japanese calligrapher, YU-ICHI INOUE at MAISON DU LA CULTUREDU JAPON A PARIS. 101bis Quai Branly 75015 Naturally I had to go. 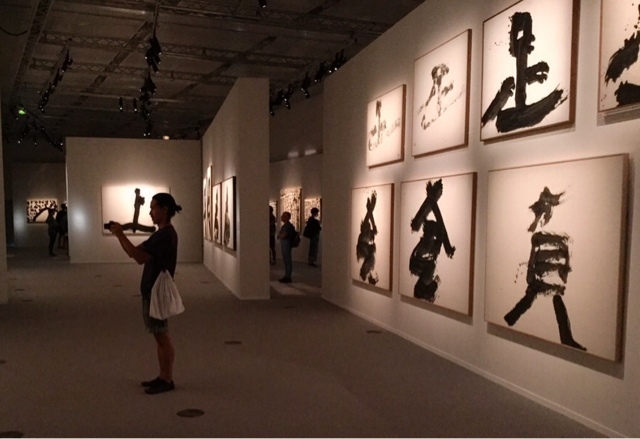 Huge gestural life-size characters from the Japanese alphabet. As big as a man, full of energy. Some canvases were full of characters. 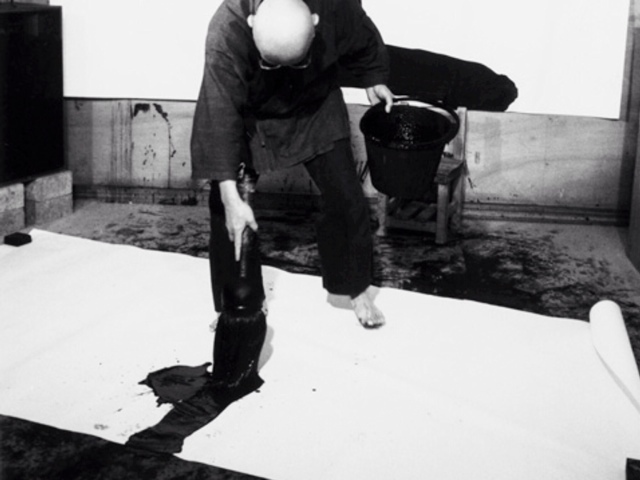 An action painter of his time in the years 60s, 70s. I love the ink on his feet. Whole body gestural painting on the floor. His studio was a complete mess too. I can so relate. Look at his mammoth horsehair brushes. 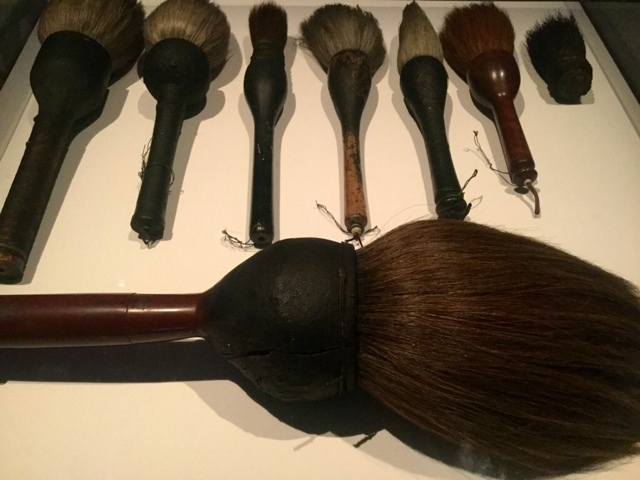 Hokosai used brushes like these. Feelings of deep envy. Last year i had a 6-month obsession with calligraphy, all in the hopes of improving my handwriting on envelopes I send out... 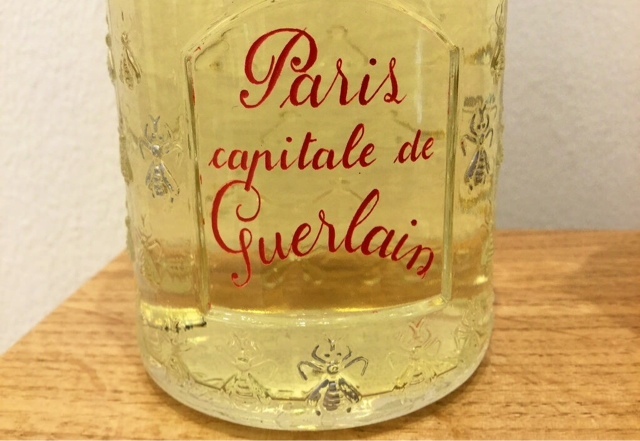 This little Guerlain perfum bottle was the catalyst that led to daily hours of practice. Finally I gave up when writing expanded off the front of the envelope. They say if you keep practicing you'll find your own individual way of writing. I think I have and its much more fun now. The museum is in the 15th where. 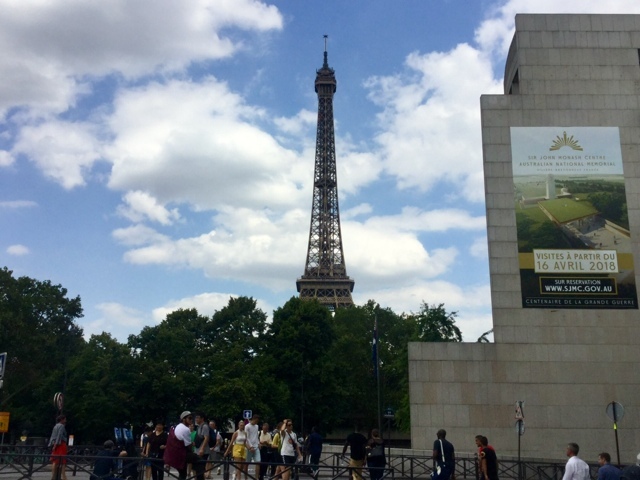 I lived when I first moved to Paris in 2013. The 6 line runs above ground in the 15th. 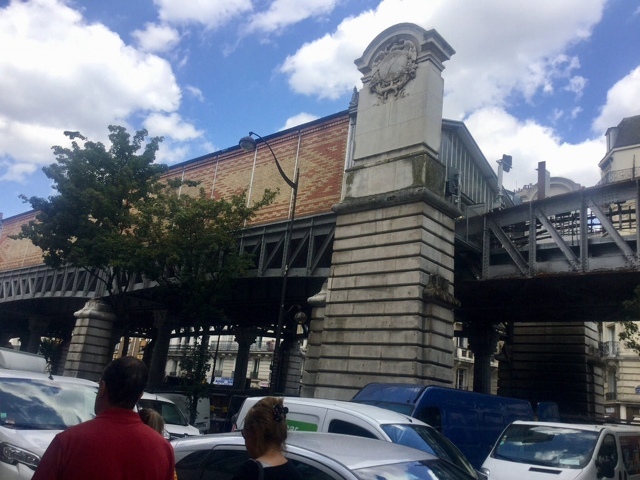 I bet you've never been there...a deeply residential area of Paris. 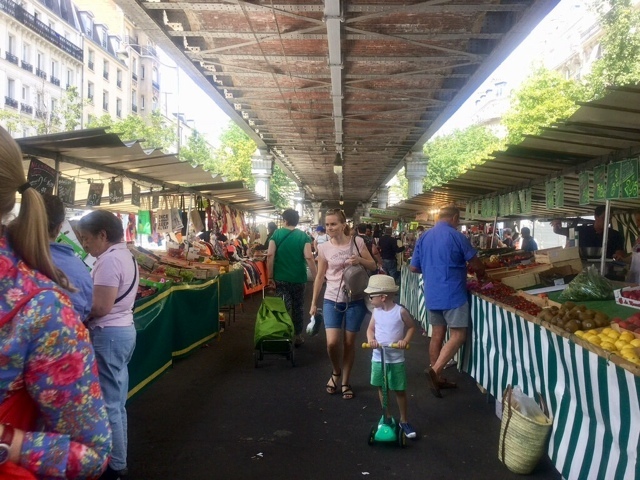 I could fall out of bed on rue Lourmel into my marché Grenelle - a lonf wonderful market few tourists discover. 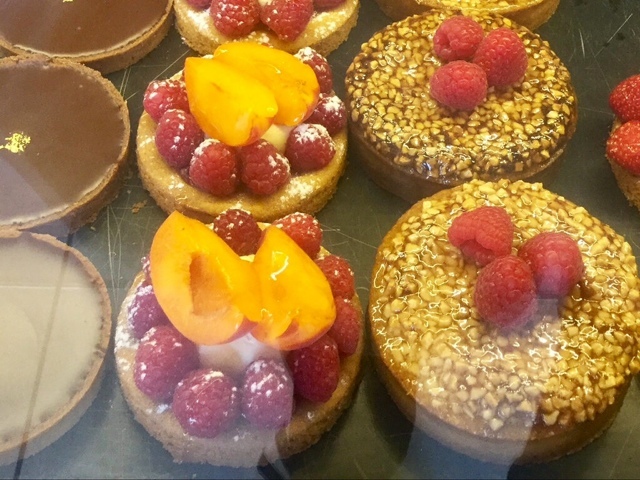 With ocassional visits to the wonderful Alcasian boulangerie Maeder. I went back for nostalias sake of course and ate these again last week. Who says you can't go home again? 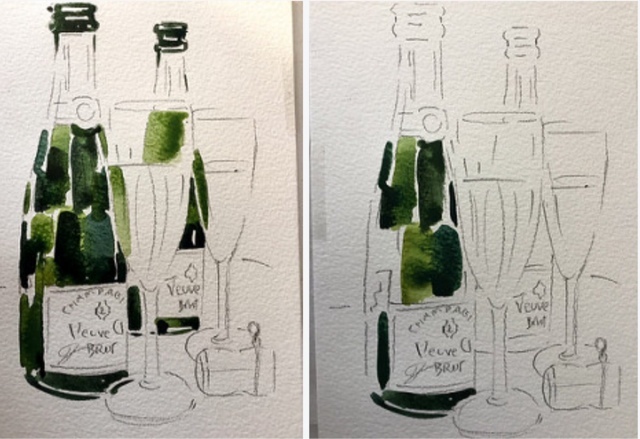 I'm still obsessed with painting Champagne bottles...love that 'bottle green'. So many obsessions. So little time. 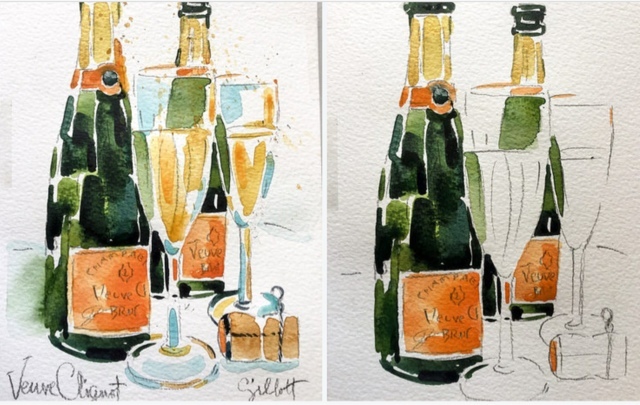 If you have a favorite Champagne brand you'd like me to paint, let me know. 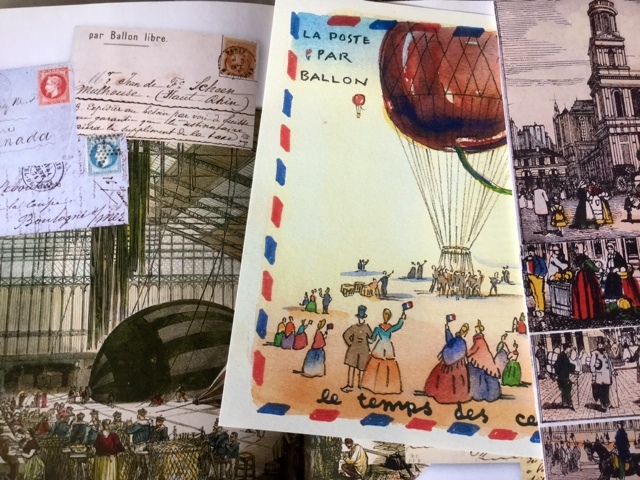 Did you know la Poste was originally delivered by ballon in France? Of course I made the balloons into cherries, another obsession. 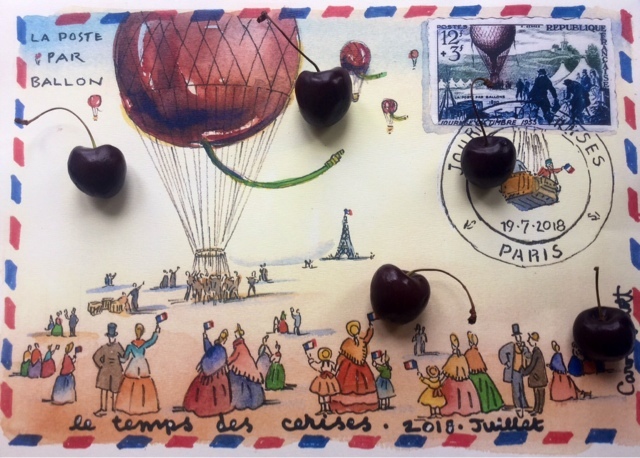 The new July cherry letter is on Etsy. 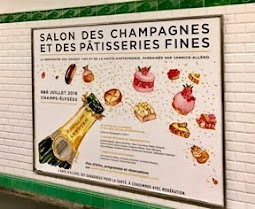 You can get the Champagne 🍾🥂 of your choice in your mailbox. 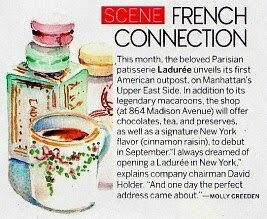 Thanks for reading Parisbreakfast. If you liked this post please share. Bonne cerises🍒. 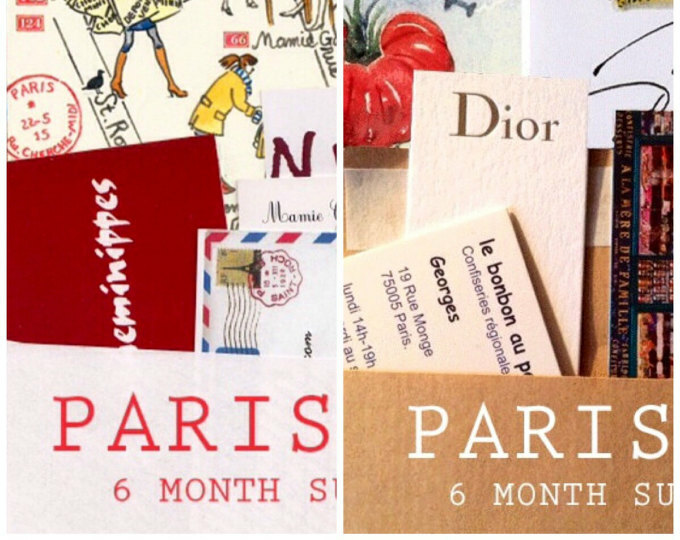 Love your bottles and glasses and La Poste par Ballon..the postmark♥TRop cute.And your handwriting is you. I agree about too many obsessions too little time.Quel beau ballon Carol..and seeing through the bottles..I just look and look. We watched a reportage about Paris..there are so many..and one was on the 15th.Very interesting and yes very different. I did not know the post came by ballon! 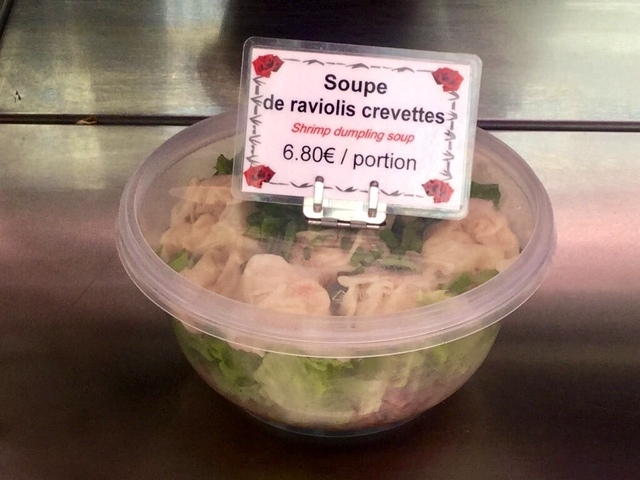 Je croix par escargot. I love calligraphy and even bought a nib to try and practice. I was surprised too. The French hot air balloons invented by Montgolfier brothers in the 1700s are much revered. The calligraphy is wonderful but I love your bottles and balloon people much more! 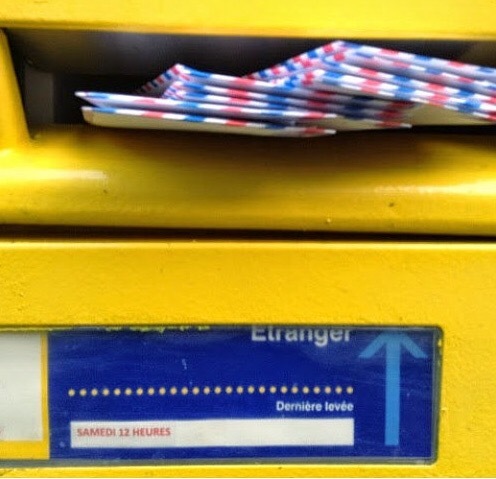 Such energy here and the envelope is particularly beautiful. I labor too much on liquids... yours is so much more free and so expressive! I do love drawing little figures for some weird reason...and 19th century figures even more...those big skirts and umbrellas..nice shapes to draw. Practicing calligraphy letters is another way to sharpen up your drawing. Its all about drawing shapes. And copying accurately! I learned a lot. I think your handwriting is distinctive and fabulous. Received my July map and love the cherries, but those champagne bottles are to die for. Green is my favorite color and those bottles look so rich - you have definitely got them down pat! My Paris Letter and Sketch, arrived on this wet and dreary afternoon. dark afternoon. Loved all of the cherries! 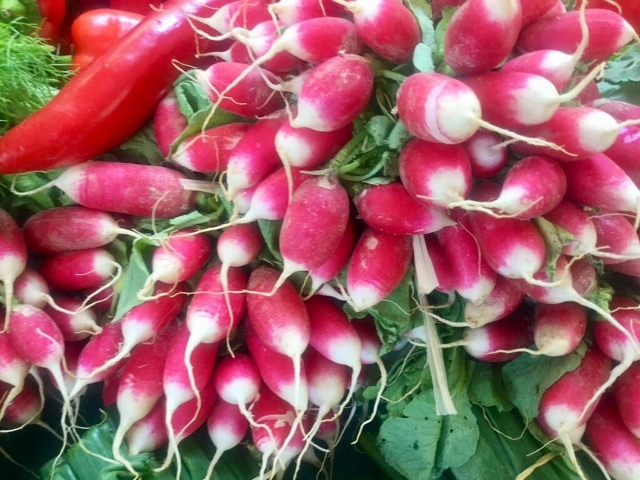 I have a feeling your regime has changed a lot since you first moved to Paris, away from radishes and chinese soup to more luxe items! Caviar and creme fraiche? Indeed my eating habits have changed to the detriment of my waistline.. So I came over to tell you that word on the street (of Rockland) is that David Dewey is moving to Owl's Head year round! I am lately obsessing about my own handwriting, practicing the cursive charts of my childhood. It's the fountain pen obsession and Goulet Pens that is the cause! This giant calligraphy is amazing, almost a physical sport! Thanks for showing us. 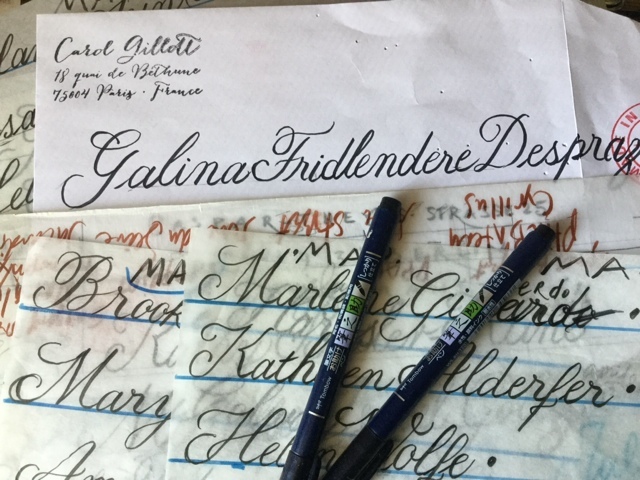 I may take up the pracitce of calligraphy again, when current projects are done. 2nd show of sketches & illustrations coming up at my hometown library. "Not Far From Home." Will post on blog. Though I don't always comment, you remain an inspiration for me, thanks for sharing how you work as well as your work. Love the champagne theme. 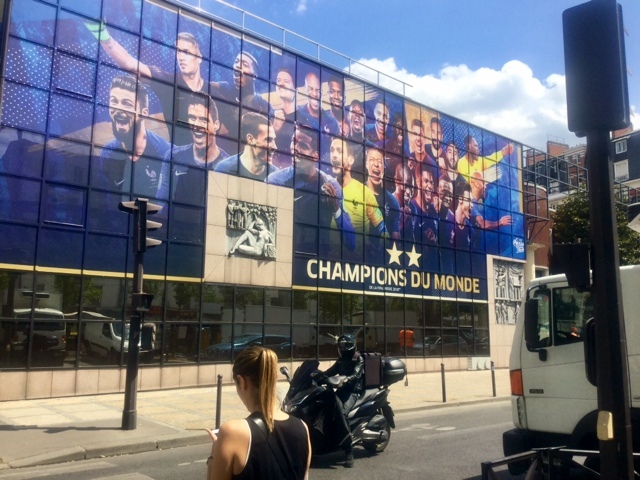 Love that you are living in Paris! Great to hear from you Rita! 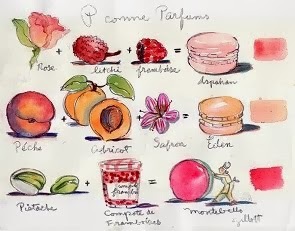 I would love to eat the raspberry tart with peach/apricot? The markets look great, how fabulous to live to close to them back in 2013. I think your handwriting is lovely, mine it totally terrible, even if I try and write neatly it's bad. 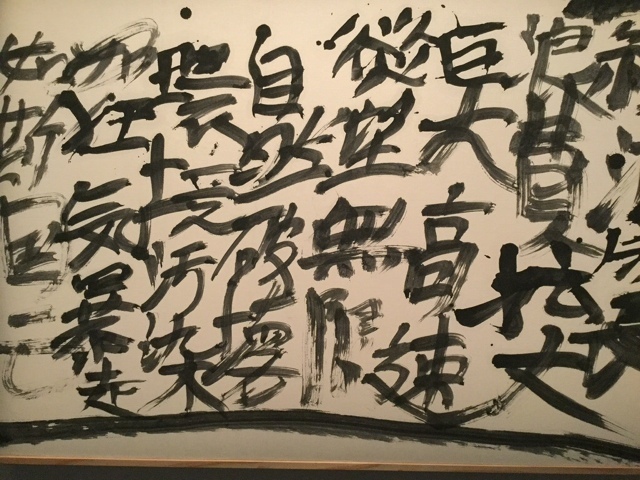 I love your continuing champagne bottles and thanks for taking us to the Japanese calligraphy exhibition. Have you ever been to Japan? I have several times and it's great. I went for a 3-week graphic design long ago and dream about returnng. Loved it then and still do everything Japanese.